I’m stoked to write this review of Dolce and Gabbanas The One cologne in which I’ll go over what I find this fragrance to be so good along with trying to answer a lot of common questions that I see getting asked a lot. If you don’t see the information you’re looking for in this article then feel free to shoot me an email and I’ll see what I can do to help ya out. We’ll start by covering some basic information about this product. Just wanted to throw those facts out there, especially the second point about them having the same name for both men and women version of their cologne/perfume. Just make sure when you go to purchase it that it actually says for men on the product so that you don’t end up with the wrong one. In this next section I’ll be going over what I like about this cologne from my personal standpoint along with the compliments I’ve gotten from other people mixed in with that as well. I’ll probably repeat this multiple times through out the article but the sheer amount of compliments I get or just people asking me what cologne I’m wearing shows that it’s an attention grabber. The other thing about that is a lot of people who ask have probably never heard of or smelled this cologne before which adds a more unique type of aspect to you when you wear it, some ladies just ask to be able to start a conversations but hey, whatever works right? 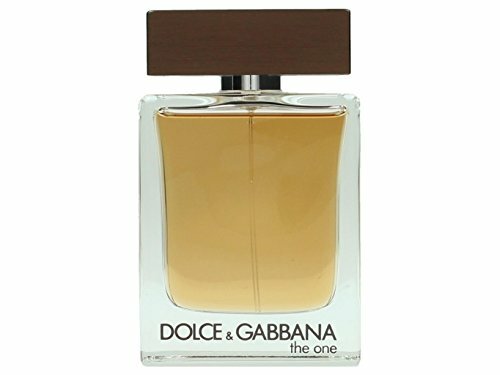 What Does Dolce and Gabbana The One Cologne For Men Smell Like? This cologne has a warm masculine scent to it which really goes well with fall/winter time of year. This doesn’t mean that it’s only for this time frame, I just think the smell fits well for it. I want to say there is also a slight hint of a new leather type of smell mixed in with it but my girlfriend says she can’t tell that but I personally do somewhat get a slight hint of it. One of the best parts of this cologne (or worse depending on how you look at it) is the fact that it’s very low key as in you can’t rally smell it unless your pretty close to the person wearing it. This is great in my opinion because not everyone wants to always smell your cologne no mater how good it smells and I respect that. I honestly can’t stand when a guy smells like he just poured a bottle of his cologne on himself. Know that there is a very fine line between not enough and way to much which I always suggest when in doubt here just go with not enough. With this cologne you don’t really have to worry about that since it’s a very low key fragrance. Do Women Like The Smell Of Dolce and Gabbana The One Cologne On Men? They do very much so, especially the 20 – 40 age group of ladies. This cologne is actually one of my date colognes so that’s really one of the main reasons I use it. I don’t recommend wearing this when you’re going to be in a large group of people, even if they are all women. This cologne really falls under the one on one dates or even double dates but not much more than that. This cologne is hit or miss on finding it in a local store because it’s right in the middle of being a really popular cologne but maybe not popular enough to replace the shelf room of some of the more popular ones. I do not like driving around trying to find one specific item, if I see it in the store while I’m shopping for other things then great I may just buy it there if it’s price decently but other wise I usually just buy this cologne off of the amazon store.